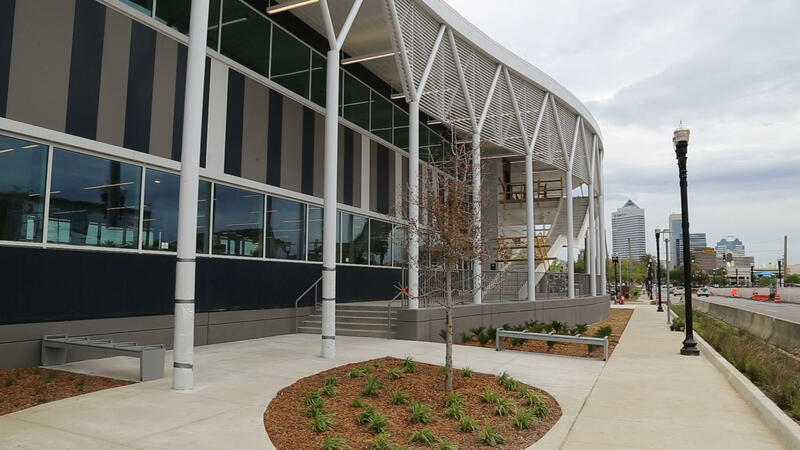 JTA’s new downtown Greyhound Lines bus terminal in LaVilla will open to the public the week of April 17. 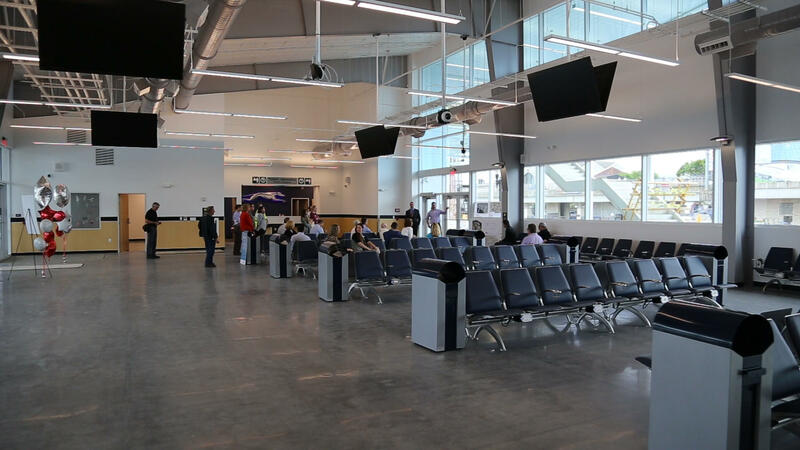 A view of the interior of the new Greyhound Lines/JTA bus terminal that will open to the public the week of April 17. The ribbon cutting ceremony for the new bus station at 1111 W. Forsyth St. is set for this Thursday in advance of the public opening. It will be one of the city’s most energy-efficient buildings, as JTA is targeting a LEED Silver certification for the bus station. LEED stands for Leadership in Energy and Environmental Design and is a rating system devised by the U.S. Green Building Council. 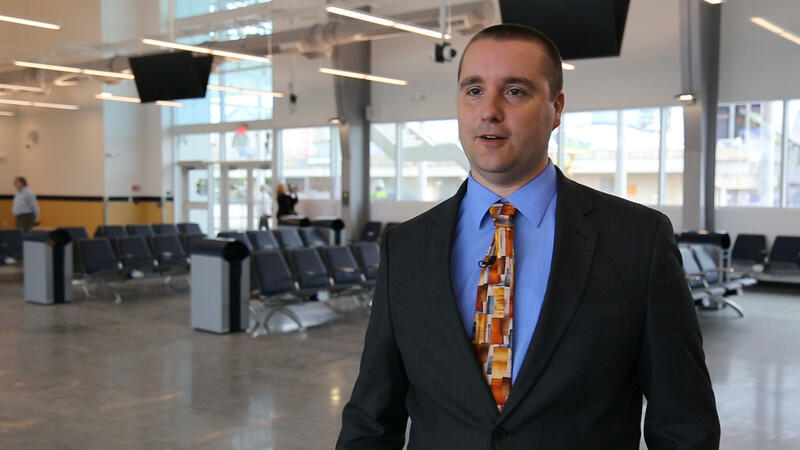 Andy Rodgers, JTA’s program administrator for transit projects, said sustainability has been a big component of the building’s design, which has a floorplan designed using Greyhound’s latest prototype. 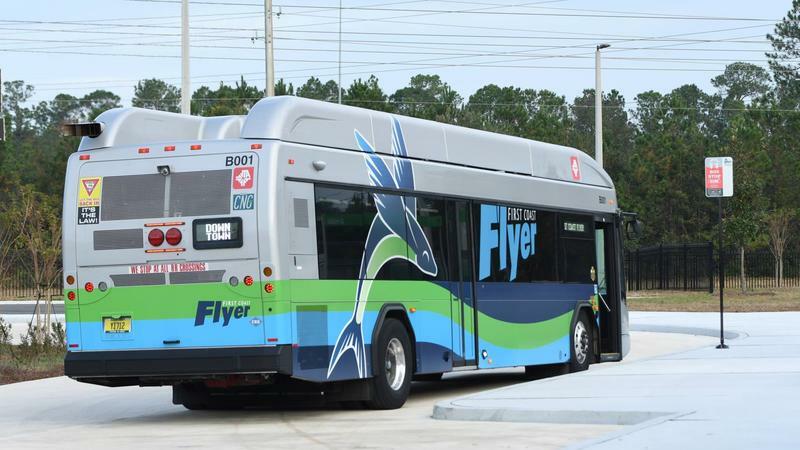 Greyhound Lines and Megabus will operate bus lines out of the new facility, which is owned by JTA. The new bus terminal was built in LaVilla. Amenities include a cafeteria and customer conveniences such as power ports for smartphones and laptops. 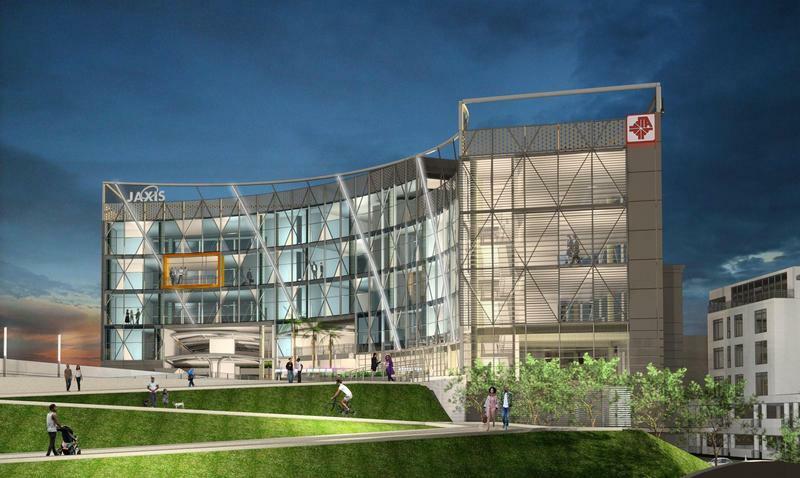 Once the Regional Transit Center is completed in 2020, it will house JTA’s headquarters and replace the Rosa Parks Transit Station as the city’s main bus and Skyway transit hub. Osborn Convention Center Skyway Station. It is expected to cost more than $57 million and serve more than 12,500 daily riders once completed. WJCT’s Carlos Bouvier contributed to the story. The Jacksonville Transportation Authority revealed its second autonomous test vehicle Tuesday at its AV Test & Learn Track near the sports complex downtown, which is across the street from the Intuition Ale Works on Bay Street. A big piece of the Jacksonville Transportation Authority’s funding puzzle has been approved to help pay for another phase of JTA’s rapid transit plan. JTA CEO Nathaniel P. Ford Sr. is joining other transit chiefs around the country in expressing concern about proposed fiscal year 2019 budget cuts to the public transit Capital Investment Grant Program. As fully autonomous cars and other vehicles move closer to becoming a reality on Jacksonville’s roadways, a new study shows the majority of Americans still don’t trust the technology. Jacksonville transportation officials and politicians at all levels of government Tuesday broke ground on the area’s Regional Transportation Center in the historic LaVilla neighborhood.